The Midlands Electricity Board was the public sector utility company responsible for electricity generation and electrical infrastructure maintenance in the English Midlands. In 1990, as part of the privatisation of the UK electricity industry, it became Midlands Electricity plc. The brief was to create a suite of public-facing literature to provide general information about Midlands Electricity’s services and costs, as well as about energy use and the environment, in a clear and precise way. The concept featured both customers and staff and was easy for people to engage with. 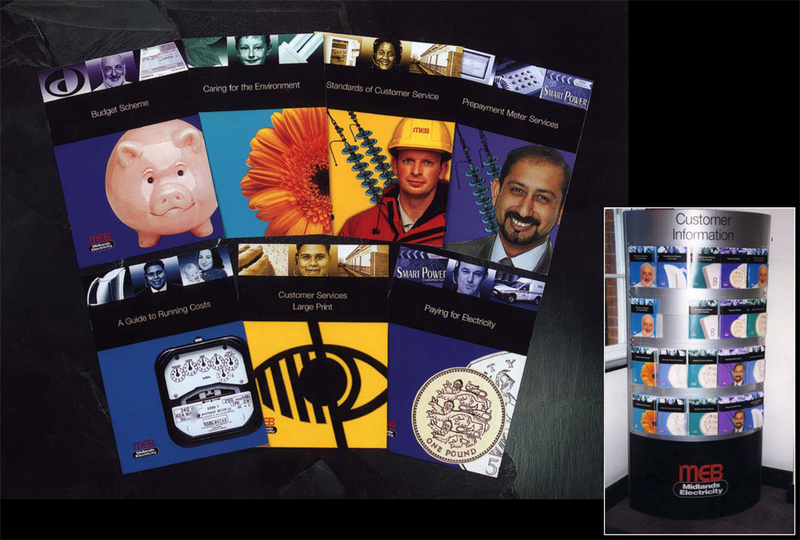 A full complement of brochures was produced, alongside a bespoke literature dispenser unit.